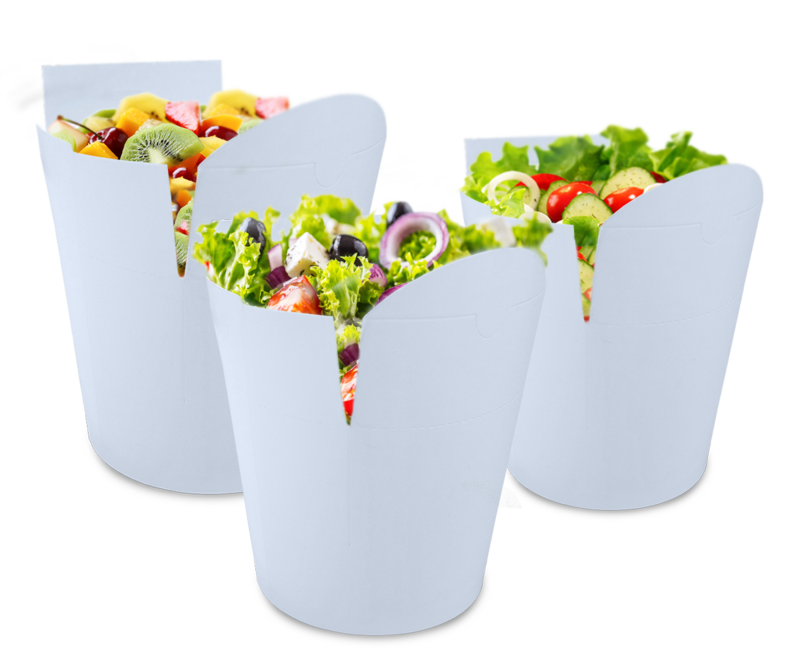 A salad box is an excellent choice for salads, fried meals, pasta and the like. Salad boxes are resistant to grease, oil and gravies. 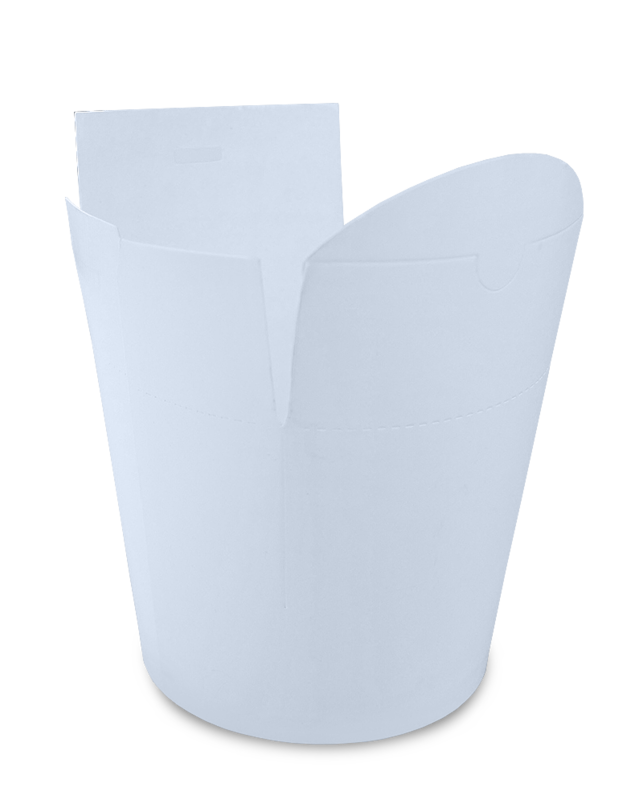 They are made of the same fine cellulose cardboard as Smart boxes, and they differ by the easy removal of flaps from the box at designated places, by which they take the shape of a bowl. Boxes are made of high quality cellulose cardboard of European origin intended exclusively for the food industry. Cardboard is extruded with polyethylene for the food industry which makes boxes moisture-resistant, keeps the content safe during the transport and maintains its temperature. They are recyclable, thus contributing to preserving the environment. They can hold liquid, thus allowing the transport of almost all kinds of food without requiring additional lids. Their design is meant to allow easy filling with food and transport and to keep the food fresh. They can have a universal print, can be completely white or can be custom printed with your advertisement and information, thus providing an extraordinary way of advertising and reminding customers of your services. We offer to our customers a possibility of custom printed boxes. Pack your food and products in boxes that will provide a visual and practical enjoyment. Achieve a significant advantage in providing services and promoting your firm and products.